Looking for private in-home or in-studio Film Acting classes? Our Ferris teachers are ready to get you started. Find your teacher today! Check out some of our most popular teachers near Ferris, TX including Dallas, Fort Worth, Plano, Frisco and Irving. How to bring honesty, subtlety, and nuance to performance so it reads well on camera. I am an Two-Time Broadway Award Winning Actor that has performed starring roles on Broadway and International stages around the world. I have appeared as a recurring guest star on FX’s hit show “You’re The Worst” as Dan Parnell. Other TV appearances include ABC’s “Switched at Birth”, CBS’s “Criminal Minds”, Nickelodeon and many other Principle leading roles on Film and Television. With over 20 years of Acting and Teaching experience, I will provide you with specific tools and techniques that will give you the confidence you need to OWN your auditions and make a lasting impression to Casting Directors, Producers and Agents. LEARN FROM A TEACHER WHO'S BEEN THERE! I've been a working actor for ten years. To me acting is one of the most visceral, healing and inspiring arts. It's an honor to invite people into that world and to help them succeed within it! My personalized training is for actors who are interested in or already have a career in TV, film and commercials. 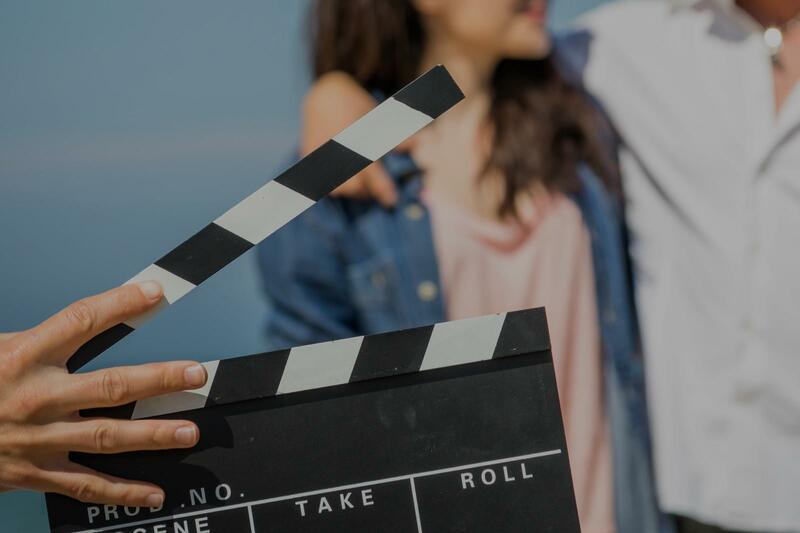 We will train in audition technique, self tapes, scene study and the business side of acting (casting, agencies, resume structure, demo reels, what to do on set, what to do in the audition room, website building and more). Feel free to check out examples of my work on my site: jasonburkey.net or on IMDB. I have been a TV and Film actor for ten years. I first broke ground with a lead role in the surprise hit movie, "October Baby", one of Entertainment Weekly’s 15 most impressive box office performances of 2012. You can now find me on television with roles in "The Walking Dead", "Atlanta", "The Resident", "The Gifted", "The Originals", "Messiah", "Halt and Catch Fire", "Shots Fired", "Nashville", "Hindsight", "The Have and The Have Nots" and "Being Mary Jane." Movie credits include People's Choice nominated "I Can Only Imagine", upcoming "Lady and The Tramp" and "The Art of Self-Defense." Hi, thanks for checking me out. As a 30 year acting veteran of the New York stage and screen (from Broadway to TV and Film) and a teacher of acting at Universities and Acting Conservatories across the country, I am uniquely qualified to help you take your acting to the next level. I specialize in audition coaching (TV, Film and theater), and have coached successful students who have landed roles on Broadway and in TV and film themselves. I can meet in person or over Skype. I'm a cheerleader for actors and I'd love to help you, so let's chat! Originally from Michigan and a proud graduate of NYU’s Tisch School of the Arts, I'm a New York based actor who has performed in over a half dozen Broadway shows, including starring in the hit Broadway musical MAMMA MIA!, playing the role of Bill Austin for nearly 3 years. I've also performed extensively Off Broadway and regionally, including 4 seasons at the world famous Williamstown Theater Festival. I've performed dozens of roles in Film and Television, including co-starring roles in the Coen brothers BURN AFTER READING with George Clooney and Brad Pitt and HOW TO BE SINGLE with Dakota Johnson and Rebel Wilson. guest starred in 2 episodes of GOSSIP GIRL as Mr. Boyer. As a teacher I have taught acting workshops at Universities and Acting Conservatories across the country including Playwrights Horizons in New York City, Western Michigan University and the New York Conservatory for Dramatic Arts, where I taught on camera audition and commercial classes. An avid writer, my first book, PRODUCT: YOU - An Actor's Guide to an Actor's Life (an “Instruct-ational” tome about what it takes to live the life of an actor) comes out later this year.